I guess this is just the weekend for me to watch drab sad movies based on popular books. Any person would have to admit that Fault in Our Stars is a better movie than the Giver but it angered me more where The Giver was just uniformly bland. It’s a shame too because I love the novel and have been to a Lois Lowry lecture and heard her talk about the characters and world so lovingly. 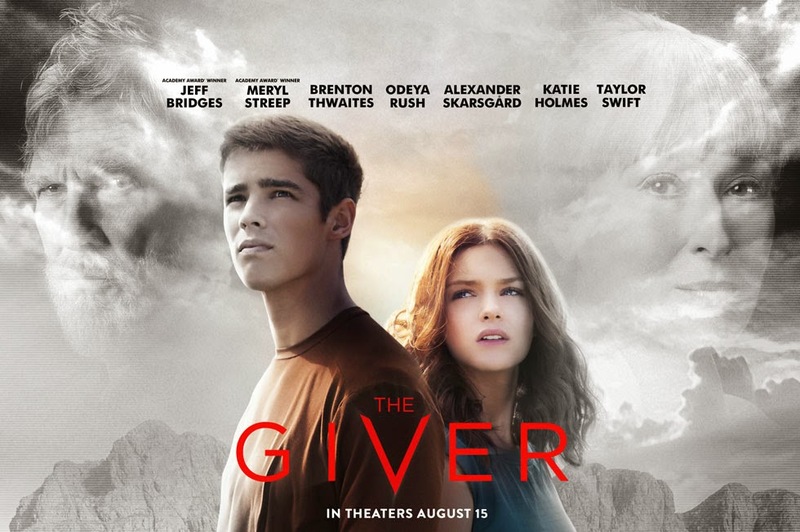 It pains me to say it but The Giver is not a very good movie. In truth it should never have been made in the first place. It’s basically a book about a boy who sits in an office, receives memories and then decides to leave. That works in the book but in the movie it feels like a dystopian therapist session that’s not very interesting. They actually get the world pretty good except they invite color way too early and the appearance of color isn’t nearly shocking enough for Jonas. He doesn’t seem to be really effected by what he see’s until the war when in the book every session is jaw dropping for him. It is also way more of an emotional journey for The Giver where here it seems like he decides last minute to go along with Jonas’ plan. In the book he tells him about his daughter earlier and they seem like son and father deeply connected. I thought they handled the baby ‘release’ about as chillingly yet not grotesque way as they could and the father never seemed trustworthy where in the book he totally does. Katie Holmes is terrible and I am all the more convinced she cannot act to save her life. I guess I’m jumping ahead of myself. If you are unfamiliar with The Giver it is a dystopian novel (written long before the recent trend yet the last one to make it to the big screen…) about a society which has removed all choices, memory and emotion from human experience. Each day the residents are given injections to dull their senses and all abnormalities, even pleasant one’s like twins or babies who cry too much, are removed so all conformity is ensured. The residents have lost the ability to see colors and are living in black and white, happy with the choices they are given. They are also taught to use ‘precise language’ such as talking about why they love someone not just saying ‘I love you’. They also are taught to never lie and to always apologize for everything. At the beginning the graduating seniors are given their assigned roles and careers and young Jonas (Brenton Thwaites) is given the rare responsibility as ‘The Receiver of Memories’. He is assigned to the current receiver or The Giver played by Jeff Bridges. He is told he will live by different rules than everyone else and he stops taking the pills and injections. The Giver then gives Jonas all the memories of society- the wars, joys, and colors, and this naturally causes him to feel conflicted. Everything is heightened when he finds out more about his father and they have a new baby assigned them named Gabe. There is also a girl he wrestles with feelings for named Fiona played by Odeya Rush. 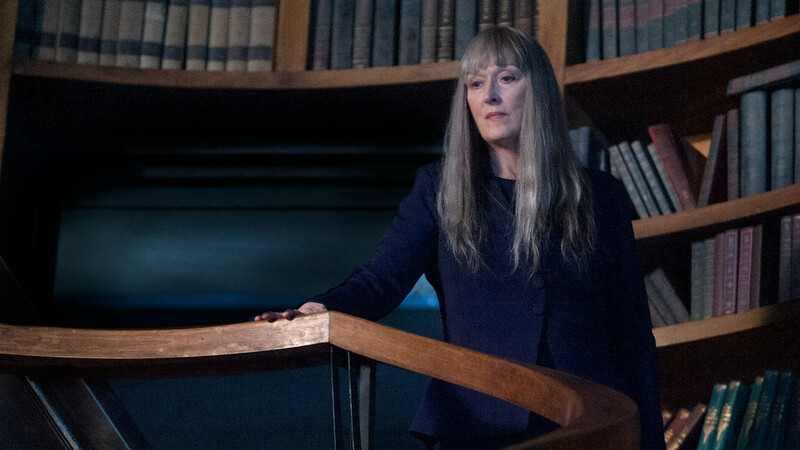 Meryl Streep is a convincing villain as The Chief Elder who is the only one besides The Giver who knows what is really going on. However, she like any despot convinces herself that the suffering is for the best. “When people choose, they choose wrong” she says. Evidently this was a passion project for Jeff Bridges and he is good as The Giver but the structure of the story just doesn’t work as a movie. It’s too much people sitting talking and sharing random events and that works in the book but not in the movie. I don’t think there is anything they could have done to have made it work. Once Jonas breaks free and is out of the Giver sessions I felt it gets some momentum and I started to care more. That last segment and the last scene with the sled was very good. Maybe a really artistic director like Terry Gilliam or the way Ridley Scott directed Blade Runner it could have worked but I think you’d have to work a little more action into the story or find a way to narrate the memory giving so you get the emotion shared in the book into the movie. I actually think it could work very well as a TV series where each week he confronts a new memory and things build bit-by-bit. You could really get to know the characters and the memories a little bit more than you can in a movie. Thoughts? I really love the book so it’s a shame. It’s the kind of book 100 people could read and get 100 different messages out of it. Some see it as very religious. Others as agnostic and according to Lowry both are right. That’s what makes it a great book but a challenging movie. Everyone tries and it isn’t terrible, but like The Book Thief movie it has all of the pieces but none of the magic. Read the book instead. In my opinion it is a much better book than The Hunger Games (and much less cynical). As far as content a baby is killed but it is mostly off screen. Jonas is chased with a baby and war and other pain is depicted in the memories. Other than that it is pretty tame. No language that I can recall. I am the other way around concerning the movie. I actually loved the scenes in which the Giver and Jonas interact, it was everything else which bored me. The unnecessary love story, the power play in the background, the whole chase towards the end…the only addition which I think was a smart one was showing how the moment Jonas leaves the perimeter affects the people back home. I think what is really wrong with the movie is the approach. It starts with this unnecessary monologue about how the society came to be and so on. What makes the book so clever is that it spends time to show a society which is seemingly perfect, only to destruct it then piece by piece. Plus, the movie toned down some of the most shocking moments, like Jonas realizing that the girl he likes is actually already killing the old people she loves so much, or the casual way everyone talks about going elsewhere until it is revealed what this actually means. It never addresses how Jonas in the beginning says that the Christmas memory felt great but also dangerous because of the open flames. It doesn’t really built up the suspense the way it should but could, no matter if it is a movie about an old man and a boy sharing memories or not. Sometimes less is more. I see what you are saying. They had some good interactions but I just didnt think the sharing of the memories was quite right. It wasnt specific enough. Kind of a flash of images instead of a story. Aside from the war scene it wasnt shocking enough. That’s true about how the book shows the society. Like in the book the Dad seems great making the reveal of what he does all the more shocking. Here he’s always kind of suspect. It’s just a tough story to translate into a movie. I feel this film could have been a lot worse than it was which is probably the main reason why I did “like” the film…cuz I had such low expectations of it. But, it generally is indeed a bland film. Maybe if I’d read the book then I’d have felt different about the movie. 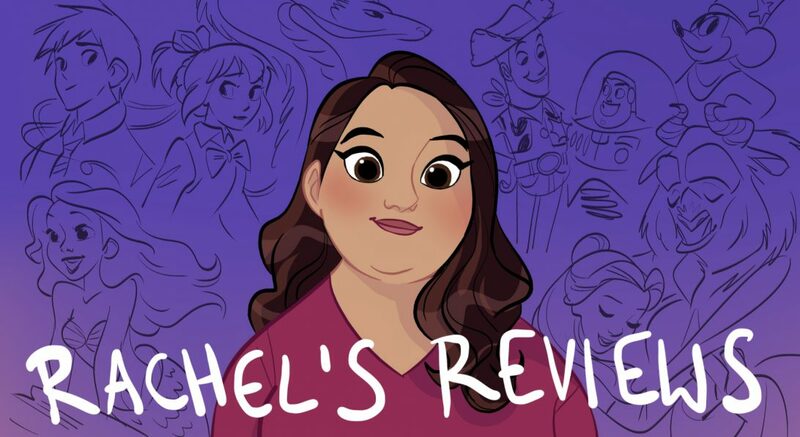 Pingback: A Wrinkle in Time Review – Reviewing All 56 Disney Animated Films And More!